Hi friends, and happy holidays! I hope this email finds you well on your way to the end of your shopping list! But if you're in the market for a great gift for the teen in your life-- or for the young-at-heart (like me) who love young adult post-apoc and dystopians like Divergent, Maze Runner, and The Hunger Games, Books 1 and 2 in the Subterranean Series would look great under the tree! Sunscorched is Getting Great Reviews! Okay, Book 2 is out, but what are people saying about Book 1? SUNSCORCHED is setting fire to e-readers and page-flipping fingers everywhere today. I hope you love Nori and Cooper's dark adventure through the gritty subterranean world. If you like young adult dystopian / post-apocs like Divergent and The Hunger Games, this book is for you! SUNSCORCHED is the first in a planned series. Book 2 is set to release in December! And I'll let you in on a little secret. If you sign up for my newsletter, you'll receive a free six-chapter novella set in Cooper's point of view! Thank you, sincerely, for supporting me and my books. Please visit me on my website. Find me on Facebook, Instagram, and Twitter. And feel free to forward or share this newsletter. B&N Press Presents has selected Sunscorched for its October/November list of "exciting recent and upcoming releases." Thanks, Barnes and Noble, for including Sunscorched (Subterranean Series, Book 1) in this great list! I'm so happy to be included! Set to release October 23, you can pre-order your copy of Suncorched now, at http://bit.ly/BuySunscorched. Starting something new today as fall sets in, and we spend more time snuggled up reading on cold nights. I'm always looking for good book recommendations. Are you? Each Thursday, I'll post a link to a book or series I've read that I think is especially good. 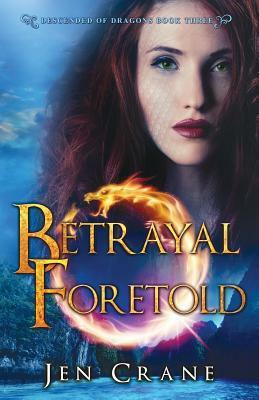 My first #ThursdayBookRec is a fantasy series with heavy romantic elements. It's considered YA, but Book 5 gets pretty steamy, making YA a stretch. There are some dark moments, too, but those always make the light ones so much brighter, don't they? The Throne of Glass series by Sarah J. Maas recounts the tumultuous missions of trained assassin, 18-year-old Celaena Sardothien. Celaena often abandons her missions to fight slavery or tyranny within the volatile empire, resulting in her own troubles. Book 1 (Throne of Glass) has a prequel, which I recommend you read first. Please check back to let me know what you think! Hi. Quick post to say if you're interested in joining my FaceBook group to discuss books and pop culture and Justin Trudeau , sign up here to become one of Jen Crane's Little Birds. Due to fairly new algorithms, you probably aren't seeing much from the FaceBook pages you once "liked." Unless those FaceBook pages pay to have posts "boosted," they aren't pushed to your news feed anymore. So, if you want to be sure you see my stuff, this group is a good way to do it.